Just like the theme song says, Black Lightning is back. The latest addition to the DC Berlantiverse returned for its second season, and the Pierce family appears fully recharged and ready to battle the ills that threaten the city of Freeland. And not a moment too soon. With the drug Green Light still plaguing the streets, ASA secrets falling into the hands of Tobias Whale and controversial government experiments on poor black communities to decipher, Black Lightning and Thunder are sure to have their hands full for the foreseeable future. 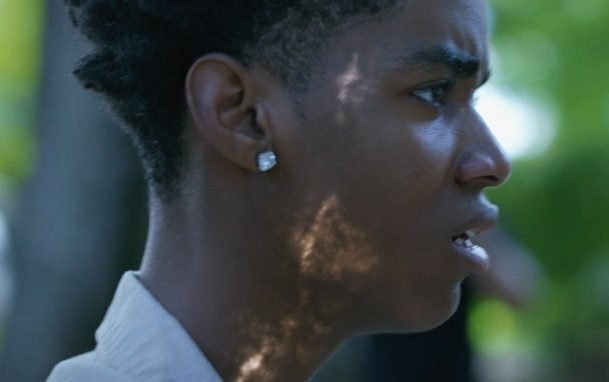 Keeping in line with the show’s portrayal of real life, Black Lightning’s second season begins with the stark image of a young black teen named Issa Williams being choked by the police until he dies. The brutal act is one of a growing number of incidents due to the police’s fear and implementation of more aggressive tactics against the youth of Freeland after the revelation about Green Light’s ability to awaken metahuman powers in its users. The panic is further stoked when Issa emerges alive from his body bag as the ASA attempts to take his body from his family. He quickly begins to show signs of his powers manifesting. That ability apparently manipulates his mother into telling the truth that she doesn’t see him as her son anymore and she was glad he died, so that he wouldn’t continue taking the drug. Issa, dejected, runs away. The plight of the Green Light Children isn’t exclusive to Freeland’s current population, however. After Procter’s decades-long experiments on Freeland’s youth were exposed, the families of those being held in stasis want to reclaim their held relatives. Reverend Holt reveals that the ASA rebuked those wishes and that any fight for custody of those being held will carry a $500,000 price tag. 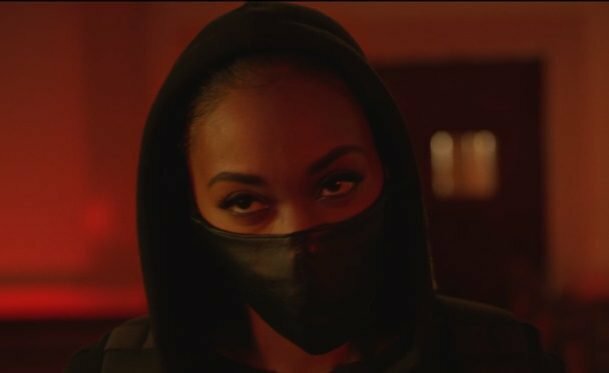 Committed to help by any means necessary, Anissa begins taking down and robbing drug operations around the city to fund the families’ battle to reclaim their kin. Lynn also does what she can to help those under ASA custody by having Gamby pull some strings to have her placed in control of the monitoring of the pods. While one half of the Pierce family deals with Freeland’s external chaos, the other is pressed to tackle more internal struggles. Most notably Jennifer, who isn’t showcasing the same control over her powers as previously thought. The loss of restraint is diagnosed by Lynn as an effect of the trauma of the family’s battles with the ASA. Lynn’s attempts to talk to her daughter ultimately end with her being shocked by an emotionally unstable Jennifer. Her powers prove uncontrollable again when she is enveloped in a sphere of energy after learning of Issa’s resurrection. It isn’t until Jefferson embraces her, absorbing the electrical energy, that she is restored to normal. The act also proves cathartic for Jefferson as he deals with quarrels both in and out of the suit. 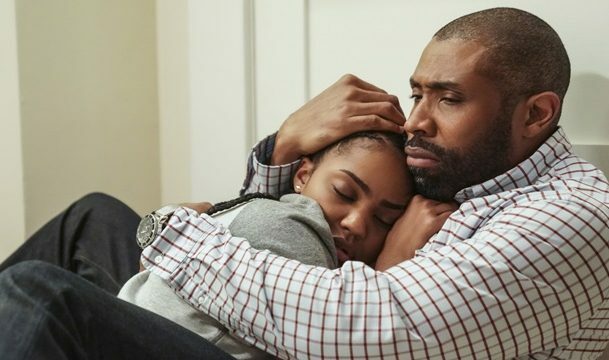 Deputy Police Chief Henderson reveals that he knows Jefferson is Black Lightning, forcing Jefferson to unmask and come clean with his longtime friend. Jefferson also faces the potential closing of Garfield High as a result of Painkiller’s attack on the school and his passion being viewed as arrogance due in part to racial prejudice. He ultimately curtails his pride and offers his resignation as principal to the school board in exchange for keeping Garfield’s doors open. The episode is bookended by the plight of ASA spotter Kara. After taking out Syonide with a bladed high heel shoe, she asks Gamby to help her disappear in exchange for Procter’s briefcase, which is in Tobias Whale’s possession. Kara’s attempt to reclaim the briefcase ends with her taking a harpoon to the gut and escaping Whale’s clutches by crashing through Whale’s penthouse window, leaving her fate unknown for the moment. 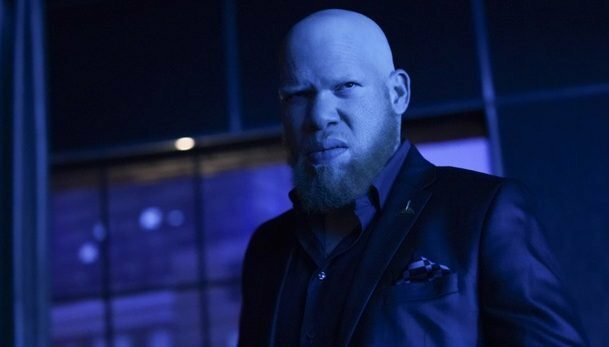 What did you think about Black Lightning season 2 episode 1? Let us know in the comment section below!